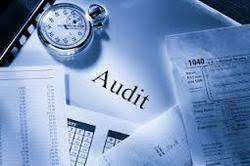 VMR & Company is a service provider company, involved in providing statutory audit & tax audit services to the businesses in and around the city. With this, our Statutory Audit & Tax Audit team analyzes clients’ business operations to ensure that the financial statements such as the balance sheet, profit/loss account & cash flow statement give a true and fair view. We are operating from Delhi, India, clients can approach us anytime for further discussion.